New! We now offer a full line of exciting “Spirit Gear” to promote your team or school! 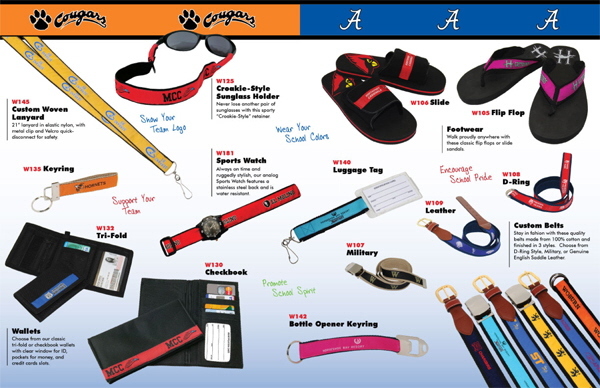 Choose from custom Slippers/Flip Flops, Sun Glass Holders, Sports Watches, Wallets, Belts, Hats, and more! Watch our exciting video below on this page! Click here to download our Spirit Gear two page catalog. Or contact us via live chat or fill out the form at the bottom of this page! Call today for more information! 808-430-6567 or toll free 866-267-5814.